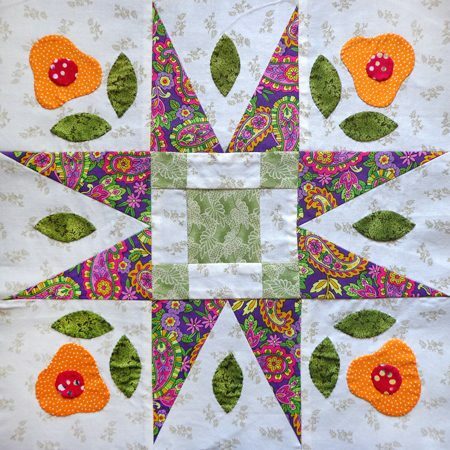 There’s an outreach group within my quilt guild, The Allstar Quilters for Kids, who meet every two weeks and make cheery snuggle quilts for kids in need in our community. I’m sort of an honorary member; I don’t regularly attend the sew-ins, but I do try to support them however I can. One of the members sent out a call for help making blocks for a quilt that will be used as a fundraiser for the group. I took a couple that had appliqué… because… well, you know :). Here are my blocks, hot off the needle! 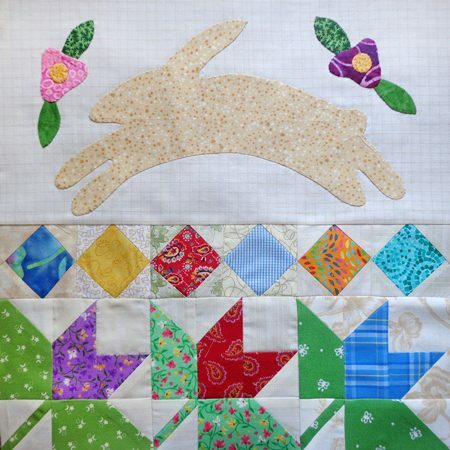 They’re part of the Spring Garden Sampler Quilt designed by Lydia Quigley, offered as a block-of-the-month by many quilt shops. Here’s one, Stitchin’ Heaven. Can’t wait to see the whole quilt! 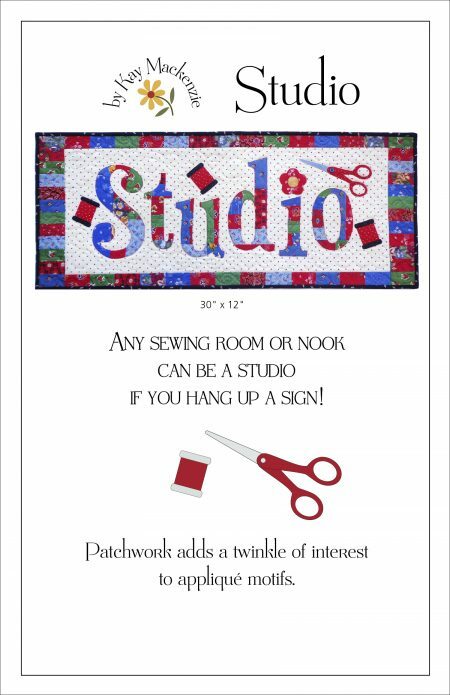 It will most likely be part of the quilt auction that takes place during our guild’s annual quilt show in February. No, I do not have a new quilting studio. Just the same cozy little one where I probably feel the most at home of anywhere in the world. But, I did finish my new Studio banner. I’ve made several versions of this project and it’s always a fun and engaging process putting the scraps and strips together into patchwork compositions. I’ve now updated the pattern cover. Oh, and if you already ordered this pattern recently I’ll be sending you a copy of the new cover. Now that that’s done, I’ll be gearing up for the Pacific International Quilt Festival in about two weeks time. Monster show, love it!! There’s no football game at the nearby stadium this year so everything should be smooooth sailing.